The Kufra tragedy occurred in May 1942 during World War II, when eleven of twelve South African aircrew flying in three Bristol Blenheim Mark IV aircraft of No. 15 Squadron of the South African Air Force died of thirst and exposure, after the flight became lost following a navigational error near the oasis of Kufra in Libya and made a forced landing in the Libyan Desert. A Royal Air Force Bristol Blenheim Mark IV similar to those involved in the Kufra incident being serviced in the Middle East ca. 1942. The South African Air Force's No. 15 Squadron – equipped with Bristol Blenheim Mark IV aircraft, a fighter version of the Blenheim bomber – departed South Africa in January 1942 for service in Egypt in support of Allied forces in the North African campaign of World War II. Arriving in Egypt in February 1942, it set up operations south of Amreya, near Alexandria. Only two men in the squadron – its commanding officer, Lieutenant Colonel H. H. Borckenhagen and Captain J. L. V. de Wet – had experience in desert operations. 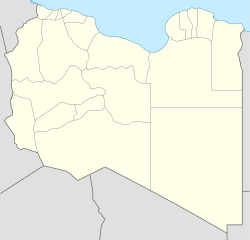 Higher command decided that the squadron would send a detachment of aircraft to the oasis at Kufra, deep in the Libyan Desert in southeastern Libya, where they were to support Allied ground forces garrisoning Kufra with aerial reconnaissance, air defence, and attacks on any approaching Axis forces in the squadron's first combat assignment in the campaign. On 8 April 1942, 47 ground staff departed for Kufra, making a journey by train, river steamer, and ground vehicle; they arrived on 25 April. The newly promoted Major de Wet, who was placed in command of the detachment, meanwhile flew to Kufra on 11 April to make final arrangements for the detachment's arrival. No. 15 Squadron selected its three best Blenheims – Z7513, Z7610, and T2252 – for the detachment. Each carrying a three-man crew, they arrived at Kufra on 28 April 1942, flying from Amariya via Wadi Halfa to avoid passing over enemy-held territory. Upon arrival, they found that the direction-finding station at Kufra was not functioning properly. Back in Amariya, Lieutenant Colonel Borckenhagen, who had no direct communications with Kufra, asked Royal Air Force Headquarters in the region to pass orders to de Wet on his behalf to keep the detachment grounded until the direction-finding station was made fully operational. By the evening of 3 May 1942, the direction-finding station was back in working order, and Major de Wet briefed his crews on their first familiarisation flight, on which he would lead them early the following morning. The flight – to be made at a true air speed of 150 mph (242 km/hr) and intended to allow the crews to become familiar with landmarks in the area and to gain experience with desert flying – was to take off in the early hours of 4 May and follow roughly a square path, with its first leg one of 83 miles (134 km) from Kufra to Rebiana, Libya, on a course of 269°, followed by a second leg of 51.5 miles (83 km) on bearing 358° to Bzema, then a third leg of 64 miles (102 km) on bearing 63° to Landing Ground 07 (LG07), and finally on bearing 162° for the 83.5-mile (134-km) leg back to Kufra, with arrival at Kufra expected at 07:42 hours. In addition to its crew of three, each plane would carry a fourth man – an armourer – to assist with armament aboard the aircraft during the flight. The cockpit of a Bristol Blenheim Mark IV on display at the Imperial War Museum Duxford in August 2005. After receiving an early-morning weather report for the region which predicted a visibility of 2.5 miles (4 km) and wind from a bearing of 60° at a speed of 19 to 24 mph (30 to 39 km/h) at 1,600 feet (488m), de Wet declined a weather balloon check of wind conditions and the three Blenheims, each with four men aboard, took off from Kufra. After initial communications checks with Kufra, nothing was heard from the aircraft until 7:10 hours. In the meantime, the three Blenheim crews believed that they had successfully completed their flight, identifying each waypoint and planning to arrive at Kufra between 07:33 and 07:42 hours. However, Allied personnel at Rebiana did not hear them fly past, suggesting that they already were off course by the time they thought they had completed the first leg of their flight. A contributing factor may have been that a weather balloon launched shortly after they took off revealed that the earlier weather report was wrong, and that winds at 2,200 feet (670 m) actually were blowing at 31 mph (50 km/h) from a bearing of 290°, and one of the navigators aboard the planes noted that the flight was so bumpy that he was unable to take drift readings. At 07:10, Kufra finally heard from the Blenheims, when aircraft Z7610 requested a bearing, and Kufra requested that it transmit dashes so that the direction-finding station could establish its bearing; the aircraft did not respond. At 07:27, Major de Wet's Blenheim, Z7513, requested a course for a return to Kufra, but its radio operator ceased broadcasting before the direction-finding station could determine its bearing; after taking a snap bearing, Kufra radioed 120-3=0527, meaning that the aircraft should "steer 120° (zero wind) third-class fix, time 05h27 GMT," but the aircraft appears only to have heard the numbers 3-0-5 and as a result believed the course to base was 305°. The aircraft turned to this course at 07:42, and Allied infantrymen at Taizerbo heard them fly past to the west; at 08:10 they turned 180° to fly on the reciprocal bearing, 125°. After T2252's starboard engine began to malfunction around 09:00 hours, Major de Wet ordered the aircraft to land in the desert, which they did successfully at 09:15. 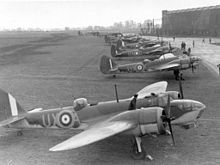 A line-up of Bristol Blenheim Mark IVs, the same of type of aircraft forced down in the Kufra incident. The Blenheim crews conferred and concluded that they were only about 20 miles (32 km) from Kufra. At 11:00, a crew took off in Z7610 and flew southwest, but returned at 11:30 having failed to find Kufra. After transferring fuel from the disabled T2252, a crew again took off in Z7610 and flew on a heading of 213° for about 24 miles (40 km), but returned at 11:40 without having sighted Kufra. A third flight leaving at 15:35 hours flew on a course of 240° – which would have led it to Kufra – but turned back after 81 miles (130 km), before reaching Kufra. The crews made no further attempts to find their base that day. Apparently assuming imminent rescue, they consumed a great deal of water during their first day in the desert. By midday, Kufra was aware that the three Blenheims must have landed somewhere in the desert. Occasional weak signals from the aircraft during the day were inadequate to establish their bearing. Ground search parties were organised at Rebiana, Bzema, and LG07, and various direction-finding stations monitored possible signals from the missing aircraft. Ground searches began based on doubtful bearings taken during the day. The downed Blenheim crews made two more unsuccessful flights seeking Kufra on 5 May. Flying Z7513 using fuel transferred from T2252, one crew flew on a bearing of 90° for about 45 miles (72 km); after its return, it departed again on a flight of 96 miles (160 km) on a bearing of 290° with three men aboard, but was forced down by fuel exhaustion 24 miles (40 km) north of the other two stranded Blenheims. Evidence discovered when searchers found Z7513 four days later suggested that its crew had landed twice during this flight, but apparently had not attempted to rejoin the other Blenheims on the last of their fuel before making their second and final landing. Meanwhile, most of the various ground search parties returned to report their lack of success, and the requirement for an air search became obvious. 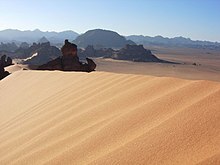 The Libyan Desert landscape in southern Libya. The nine men stranded with Z7610 and T2252 had used up almost all of their water by the morning of 6 May. Major de Wet himself took off in Z7610 to search on a bearing of 290°, but returned without success. Meanwhile, three Bristol Bombays of the Royal Air Force's No. 216 Squadron began an air search, but encountered a sandstorm that grounded them for the next two days. The sandstorm aggravated the plight of the men with the stranded Blenheims; those with Z7610 and T2252 began to die during the afternoon. The sandstorm continued through 7 May and into 8 May, when visibility finally began to improve. Major de Wet recorded on 8 May that only six men remained alive out of the 12, and expressed concern that the men might shoot one another or him; later in the day he observed that only two men were left alive besides him. At various times between 5 and 9 May, ground search parties came to within 2 miles (3.5 km) of Z7610 and T2252 and within 5 miles (8 km) of Z7513, but limited visibility prevented them from finding the downed Blenheims. On 9 May, with the sandstorm finally over, a Vickers Wellington sighted Z7513 and landed alongside it. Its crew found the Blenheim's three-man crew lying in the shade of its wing, all apparently dead since 8 May. On 11 May, the same Wellington found Z7610 and T2252 parked nose-to-nose at either 24°51′00″N 24°25′00″E﻿ / ﻿24.85000°N 24.41667°E﻿ / 24.85000; 24.41667 or 24°49′00″N 24°10′00″E﻿ / ﻿24.81667°N 24.16667°E﻿ / 24.81667; 24.16667. As the Wellington approached, a survivor, Air Mechanic N St M Juul, stumbled out of the shade of a wing and started to put out some ground strips to attract attention. He was too feeble to pull the trigger of a Verey pistol. The Wellington landed alongside Blenheims Z7610 and T2252 and Juul took a few shaky steps towards his rescuers but collapsed in the hot sand. The bodies of Major de Wet and seven of his men were found around the aircraft, some with gunshot wounds. Though terribly weak, Air Mechanic Juul, the lone survivor from the flight's 12 crew, was recovered and flown to Kufra for medical attention and later testified at the S.A.A.F/R.A.F. Court of Enquiry. An inquiry into the incident took place at Kufra from 1 to 4 June 1942. The board of inquiry attributed the incident to the crews' lack of experience in desert flying; their failure to keep accurate navigator's logs; and the failure of wireless operators to perform their duties during the flight. The board placed the responsibility for the forced landing on the crew of the leading aircraft, Z7513 flown by Major de Wet. The board attributed the failure of the ground and air searches to a lack of accurate information regarding the possible position of the aircraft; the difficult terrain; the sandstorm; problems with unserviceable aircraft that could not carry out search functions assigned to them; and poor signal organisation. It also found that the downed Blenheim crews did little to assist the searchers in finding them because the crews engaged in bad direction-finding procedures even after landing and failed to employ visual signals and smudge fires. The inquiry also identified reasons for the early death of the stranded aviators, finding that they failed to appreciate their plight or to ration water immediately and that they made unintelligent use of compass alcohol, having drunk it despite its poisonous qualities, and fire extinguishers, which they had sprayed on themselves for temporary relief from the heat resulting in the infliction of painful skin injuries. To avoid any recurrence of the Kufra incident, the board made comprehensive recommendations with regard to equipment to be carried on aircraft likely to fly over the desert and emergency procedures in the event of forced landings in the desert. It also recommended that only experienced crews operate from Kufra, and that strict procedures be established for operations from Kufra to ensure that aircraft not become lost in the first place and be more easily located if forced down. The search parties buried the three men found with Z7513 next to the plane, and the eight men found dead around Z7610 and T2252 at their discovery site. In May 1942, Z7610 and T2252 were repaired and flown back to Kufra. T2252 later suffered engine failure and crashed near Kufra, but Z7610 operated with No. 15 Squadron's detachment there until 27 November 1942, when the detachment departed Kufra to return to the squadron. By that time, the squadron had converted to Bristol Bisleys – the Mark V ground-attack variant of the Blenheim – so the detachment left Z7610 behind at Kufra to be repaired by a Royal Air Force Maintenance Unit (MU) and flown to Khartoum in the Sudan. Its engines overboosted and unflyable, Z7513 was abandoned where it lay. After an Axis air raid on Kufra on 25 September 1942, it was cannibalised for spare parts to repair a Bisley damaged in the raid. In February 1959, a geological survey party rediscovered Z7513, and the bodies of its three crewmen were exhumed and reburied in Knightsbridge War Cemetery at Acroma, Libya. When de Wet's nephew visited the site again in November 2001, Z7513 was found to have been destroyed by scavenging, with its engines, propellers, and undercarriage missing. The bodies of the eight men found with Z7610 and T2252 remained where the search party buried them in the Libyan Desert in May 1942 until 1963 when they were reinterred in Knightsbridge War Cemetery. ^ The Coetzee narrative cites both positions without explanation for the apparent contradiction. ^ "Loss of three SAAF Blenheim Aircraft near Kufra, May 1942 (Frameset)". www.fjexpeditions.com. Retrieved 8 May 2016. This page was last edited on 15 March 2018, at 21:35 (UTC).